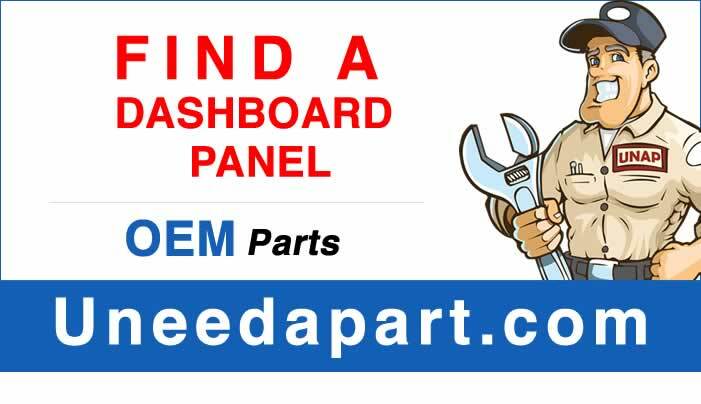 Searching for quality replacement dashboard panels, air vents, knobs or more? We’re sure we can help. Just start a search below to start the process. Located directly ahead of a car’s driver, the dashboard panel serves as the oracle of the car. If yours is flickering don’t delay. Get a replacement today. Attractive with well-planned gauges and beveled glass, a dashboard should always look its best. Is yours cracked? Get a used one to replace it. 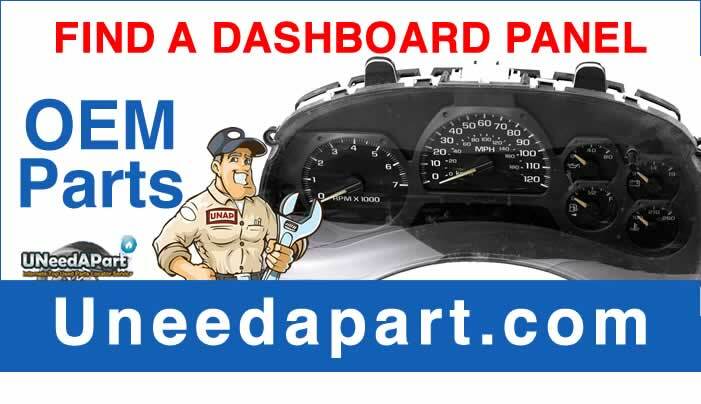 Need a truck dashboard replacement? We have those and from many leading manufacturers. Find Freightliner, Mac and many more brands. 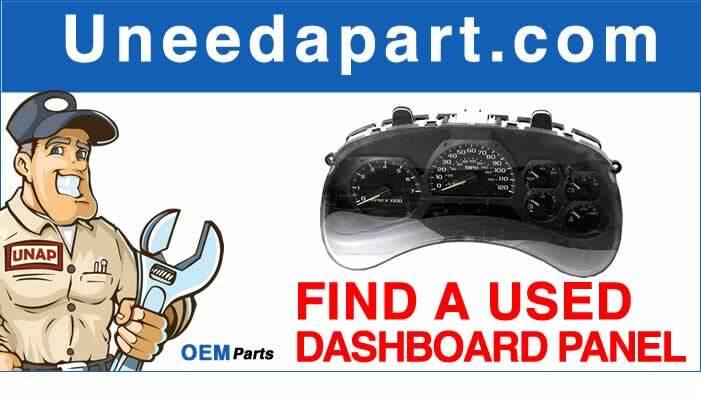 Need an OEM dashboard replacement? Well that’s what our salvage yard partners can offer you. And it all starts with a search of your vehicle’s year. 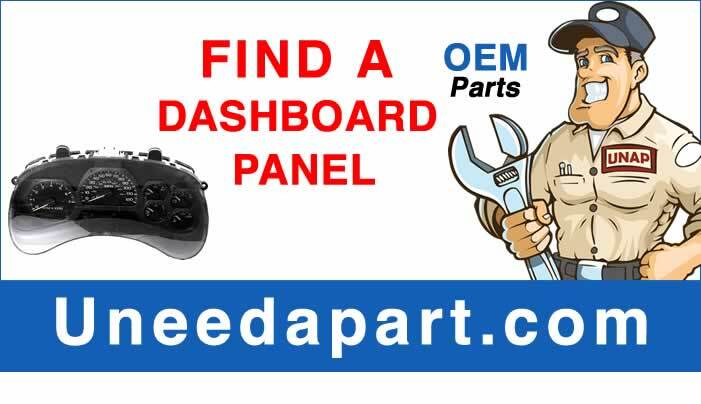 Looking for car dashboard replacement parts for late model cars? Cars are crashing all the time and you get to get the salvage parts at a great price from us. Be a safe driver. Get familiar with ever part of the car. Can't read your dashboard? Gauges not working? Don’t despair, we can help. Search for a replacement below. 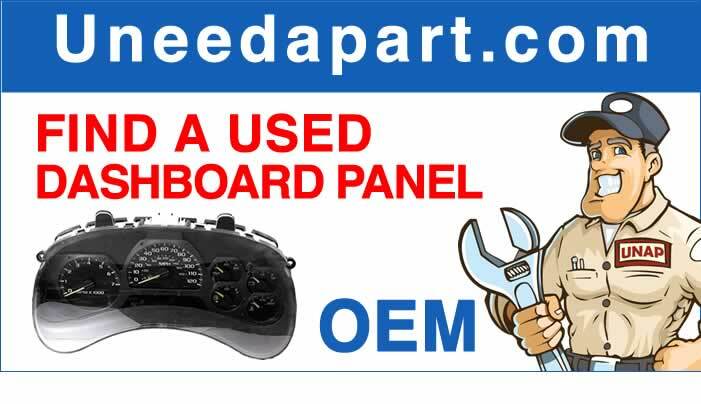 Need a Jeep Wrangler dashboard? We’ve got you covered or rather one of our salvages should. Just start your search below and let the parts come to you. Looking for a dashboard replacement for a Dodge Ram 1500? We carry many Dodge Ram 1500 parts including dashboards. Find your part below. Looking for Jeep dashboard lights? Those can be tricky to find but we have many junkyards ready to do their best to find jeep dashboard lights for you. Looking for a Freightliner Century Dash kit? Freightliners end up in salvage yards more often than you think. Try a search below for Freightliner Century Parts. 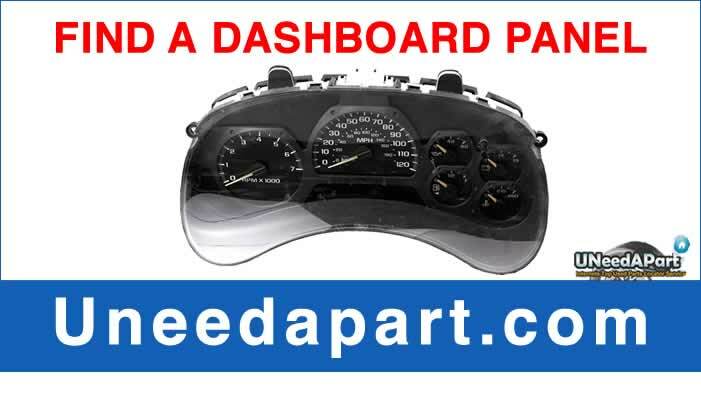 We carry Chevy dashboard replacement parts for many late models. We carry a wide array of GMC parts as well so start your search below. 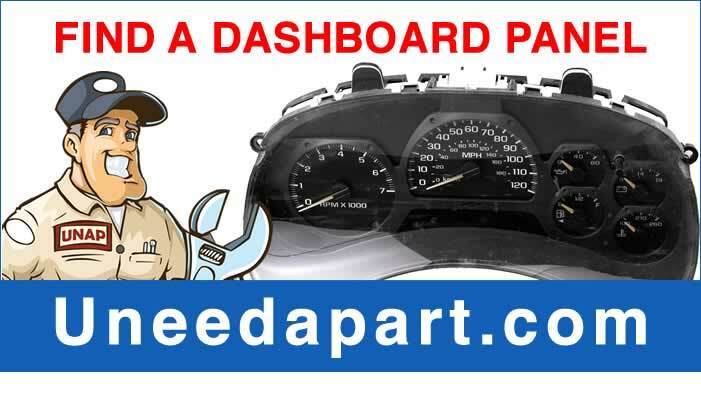 Need to find out about a car dashboard replacement cost? You can find about your car’s dashboard replacement cost with no hassle by entering the year below. We carry a wide array of cluster instrument panels for many makes and models. Find your cluster instrument panel below. We’re sure we can help. Looking for accessories for something as special as a turquoise jeep? Well we just might have parts for your turquoise jeep. Start your search. You might find aftermarket dashboard clusters as well. They’re usually on tuner cars and tuner cars usually end up in the salvage yard after the weekend. We are the masters of second hand car dashboards. Start searching to find your part below and be amazed at all of the options available. Looking for newer LCD dashboard arrays? Relatively new cars get junked all the time and with that we just might have a LCD dashboard available for you. 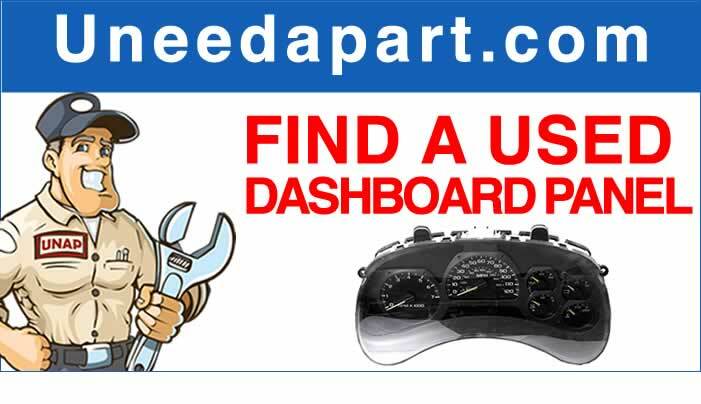 If you are looking for a Dashboard Cluster Instrument Panel, then look no further than UNeedAPart.com! Our fast and free parts locator service searches a database of over 7,000 parts dealers nationwide to find the car parts you need as quickly and efficiently as possible. Simply fill out our Part Requester Quick Form with the information regarding your vehicle and we will track down the auto suppliers that have your part in stock. The multiple auto salvage yards, auto recyclers, auto wreckers, and junk yards in our database carry large inventories of used car parts, used auto parts, and used truck parts, so you never have to wait for the part you need. Upon processing your request, you will be able to make a purchase online, and you will also get an email complete with additional price quotes and contact information of the supplier within minutes! 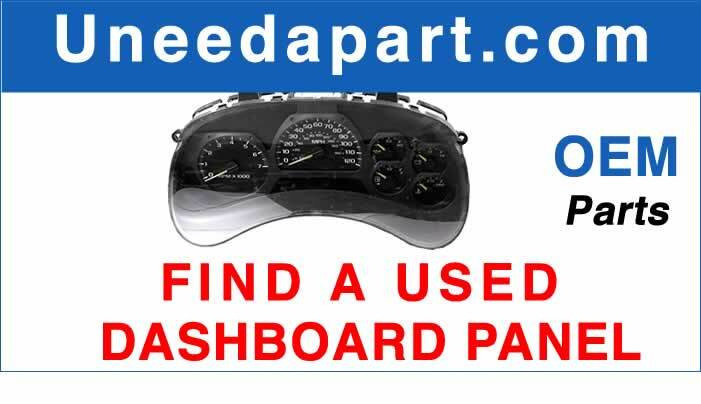 Search with us today and make UNeedAPart your primary source for a Cluster Instrument Panel!